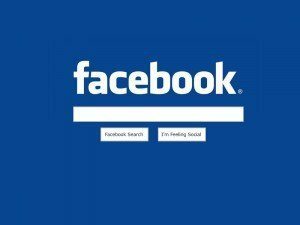 Facebook has announced a new search feature dubbed Graph Search, a service which is built atop the network’s Social Graph. CEO Mark Zuckerberg says the company has been working on Graph Search for years, and claims it offers something that no other service can. It is available as a limited preview right now for English audiences only. Graph Search is a new and improved search experience that allows people to discover and learn more about your Facebook Page. With Open Graph you can fFind people who share your interests, Explore your world through photos, Discover restaurants, music and more. Graph Search and web search are very different. Web search is designed to take a set of keywords (for example: “hip hop”) and provide the best possible results that match those keywords. With Graph Search you combine phrases (for example: “my friends in New York who like Jay-Z”) to get that set of people, places, photos or other content that’s been shared on Facebook. We believe they have very different uses. Another big difference from web search is that every piece of content on Facebook has its own audience, and most content isn’t public. We’ve built Graph Search from the start with privacy in mind, and it respects the privacy and audience of each piece of content on Facebook. It makes finding new things much easier, but you can only see what you could already view elsewhere on Facebook. We’re very early in the development of Graph Search. It’s only available in English today and you can search for only a subset of content on Facebook. Posts and Open Graph actions (for example, song listens) are not yet available. We’ll be working on these things over the coming months. Umpreet, did you get your invite? I’m still waiting for mine. Absolutely right. Thanks for posting.